Assam Constable Recruitment 2018: Department of Assam Police has notified a job notification for 5494 Un-Armed/Armed Branches vacancies. Aspirants seeking jobs in Assam Police department can proceed to apply from 2nd May. 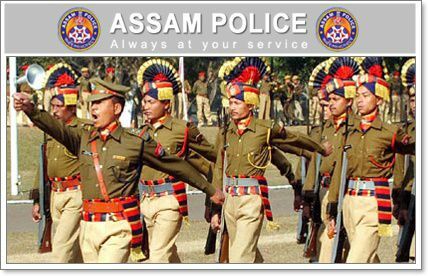 Aspirants seeking to apply for the Assam Police department jobs can apply before 2nd June. The online application form will be accessible on department’s official website, assampolice.gov.in. Before going to apply for the announced posts, aspirants can download Assam Constable recruitment notification PDF from the official website and check the details from it. For the knowledge of aspirants here we enclosed the Assam Constable notification PDF at below. Download the article and observe the details from it. Department of Assam Police is the state level police protection organization. The department issues various notifications to hire the suitable aspirants in various posts. The department has come up with a huge number of vacancies for constable vacancies this year. A total of 5494 vacancies constables in the Unarmed branch has advertised by the Assam Police Department. The organization has advertised these posts to hire the suitable aspirants in various departments Special Branch (SB), District Executive Force (DEF), Fire & Emergency Services (F&ES), Assam Police Radio Organization (APRO), SDRF (Emergency Rescuer) and Delhi Police (DP). Aspirants seeking to apply for the announced posts must have the suitable physical standards and medical standards. The required education to apply for these posts is minimum of the 12th pass from any of the reputed board/university. Candidates’ age limit should not exceed 25 years as on 1st July 2018. Candidates aspiring to apply for Assam Police Constable jobs can go through more details such as application process, selection process, application fee, important dates and other details from the following. i) Un-Armed Branch: H.S. or Class XII passed from a recognized Board or Council for the post of Constable, Unarmed Branch, District Executive Force (DEF). ii) Armed Branch: H.S.L.C or Class-X passed from a recognized Board or Council for the post of constable of Armed Branch. Note: Candidates having educational qualification Higher Secondary and above may also apply for both Armed Branch & Unarmed Branch. In such case, in the online application form, the applicant will have to clearly mention his/her preference for the posts of Unarmed Branch & Armed Branch. However, the final decision regarding allotment of successful candidates will lie with the Chairman, SLPRB, Assam. 18 to 25 years as on 1st January of 2018 (i.e. the candidate must be born on or before 01.01.2000 and on or after 01.01.1993). Note: Age relaxation will be applicable as per norms. Recruitment rallies will be conducted in the districts of Assam for filling up of 1851vacant posts of Constable of Unarmed Branch of District Executive Force and 3643 posts of constables of Armed Branch in the Pay Scale of Rs. 14000- 49000/-, with Grade pay of Rs 5600.00(Pay Band-II). The date and venue of Physical Standard Test / Physical Efficiency Test and Written Test will be intimated in due course of time by email, SMS and various other means and through the Assam Police website (www.assampolice.gov.in).Online applications will be received with effect from 02-05-2018. The last date for receipt of applications will be 02-06-2018. Starting date for filling online application 02.05.2018. Closing date for submission of the online application 02.06.2018. Applications must be submitted online through Assam Police website www.assampolice.gov.in. No other forms of application will be entertained. A helpdesk will be opened at the office of Superintendent of Police of each district to facilitate the online filling of applications. All Candidates will have to appear for their PST/PET & Written Test only from the district under which their permanent Residential address falls. Candidates whose applications are found correct in all respect will have to undergo the Physical Standards Tests (PST) and Physical Efficiency Tests (PET). If any candidate is found to have any physical deformity as may be detected by the Medical Officer present in the DLSC, he/ she will be debarred from participating in the other tests.